For three years I have maintained and marketed the innovative brand experience, web presence, and campaign strategy for the Four Seasons Global Food & Wine event known as Chef Fest. 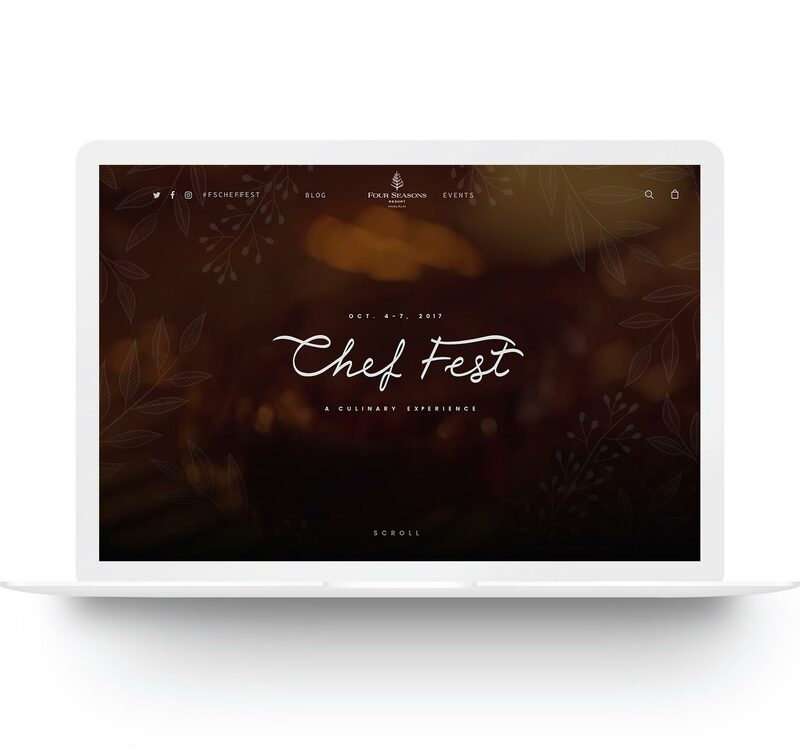 Working closely with the Four Seasons executive staff and with my team of creatives, we brought the Chef Fest brand to life and gave it an award-winning web and mobile application as well as a memorable and unique brand identity. Our effort has resulted in numerous awards, honorable mentions, and recognition year after year. I sourced various images that I thought could tell the story of mixology and bring much needed color to the new chef fest site. Most of these images were from photography that had wood or off-color backgrounds. I removed backgrounds and competing elements, color matched the selected items and enhanced, sharpened and composited the assets. My goal was to tell the story of mixology in a fun and colorful way. Each year I revised the look and feel of the Chef Fest brand. In order to create a solid and clean look for the brand, I refined and thickened the logo and paired it with a complementary typeface across the site. I wanted to take the user on a visual journey and tell a story throughout their online experience. I did this by pairing detail photography next to establishing shots so that users could not only get the overall experience but the fine details of the many events at Chef Fest. I integrated this front end design over the WordPress environment. We used Woocommerce to power our online sales and I highly modified the grid and layout views to keep it in line with a clean and modern design approach.